WHITE PLAINS— Real Estate In-Depth recently sat down with Westchester County Executive George Latimer at his offices in White Plains to discuss his views on some of the critical issues he faces in his first term of office. Latimer, a third generation Westchester native, was born on Nov. 22, 1953 in Mount Vernon. After attending Mount Vernon public schools, he graduated with a B.A. from Fordham University and earned a Master’s Degree in Public Administration from New York University’s Wagner School. 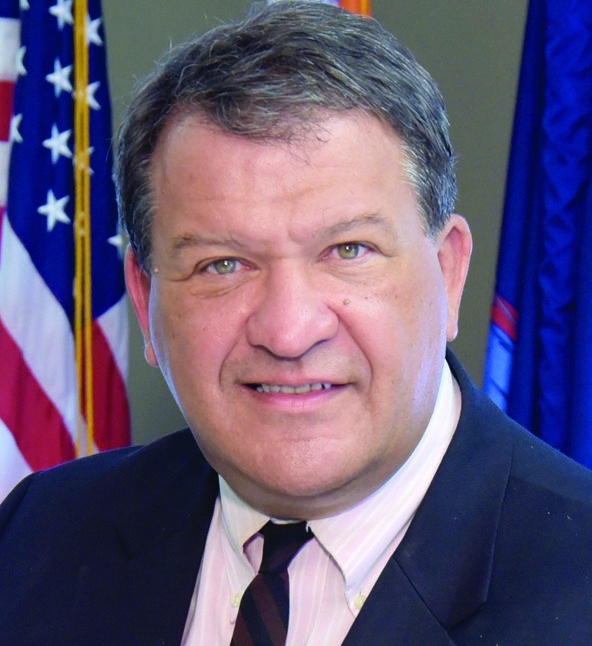 A resident of the City of Rye for nearly 30 years, Latimer began his public service on the the Rye City Council, where he served for four years before being elected to the Westchester County Board of Legislators. During the 13 years he was a member of that chamber, he served as the Minority Leader and then as the first Democratic Chairman of the Board of Legislators in Westchester history. From 1998 to 2001 as the chairman of the County Board of Legislators, property taxes decreased in three consecutive years by nearly 7%. He was elected in 2004 to the State Assembly, and during his time in Albany was the author of more than 20 new laws. Latimer also spent more than 20 years in the private sector as a marketing executive at major corporate subsidiaries of Nestle and ITT, with on-site responsibilities for projects with AT&T, IBM and Shearson Lehman. During that time, Latimer had direct involvement with project development in numerous sites nationwide. Q: What are your main objectives in your first year of office? Latimer: Well I think the first thing we are trying to do is stabilize the economics, the budget of the county. We inherited a deficit that was not clear necessarily on Jan. 1, but as we closed out the fiscal 2017 fiscal year our auditors have made it clear that we had a $32-million deficit, meaning $32 million more in expenditures than revenue. It is more of a revenue problem than it was an expenditure problem. The expenditures were actually lower than projected, but the revenues were much lower. The bottom line is we went a long time without an increase in the tax levy. We reduced the workforce by roughly 1,000 positions. We have changed the delivery of services dramatically. We reduced the support for various not-for-profits, who provide services for us. And with all of that, we had one-shot deals to finance budgets year-to-year—Austin Avenue, the North 60 arrangement, and things like Playland and the airport represented additional one-shot deals. When you look at that amalgam of (past) decision-making it tells you we have a structural budget problem and we have got to address it. Now, we are not going to address it in a single year. The budget that we have yet to present to the Board (of Legislators), which will come out in mid-November, will reflect how we plan to budget in ’19, but it will take a multiple-year effort to straighten out the finances of the county. The second thing is we have to re-establish a relationship between the county government and all players in the county. We need to develop a cooperative, low-key, friendly, work with you relationship with the business community, the not-for-profit community, with the labor community, with the development community and with municipal and state governments. I would argue that we spent time (in the past) thinking about the narrow corporate interest of Westchester County as we budgeted and advanced policy. Was it in the interest of Westchester County to say we didn’t raise taxes—to make that political statement? When you do that you wind up fraying all those relationships because you are not taking their needs into account with making public policy. You are just thinking about your needs. So, you close a facility that treats homeless people. Well, the homeless people still have to go someplace so they go onto the streets of a community and the local government picks up the cost. But, you don’t need to show it anymore on your bottom line, so you have done for your corporate entity what you think is sufficient. But, it is not sufficient for the other players in the game, so they resent that. Q: What role do you believe the county can play in terms of business attraction and economic development and are you looking to implement any new policies to try and ramp up investment in Westchester? Latimer: I think the first thing to understand is that our philosophy is not to create a separate system outside of the tools that exist. Many times, you will see governments create in an economic development plan a host of separate activities that don’t involve the existing business community and my sense is that we are not the best judges of what are the things that incentivize business growth. To the greater extent, the folks that are in the government sphere do not have the same sensitivities as people who have spent their life in the business sphere. I don’t want to set up an office in the city (New York City) and I don’t want us going after clients outside of the efforts already being made by the real estate companies. 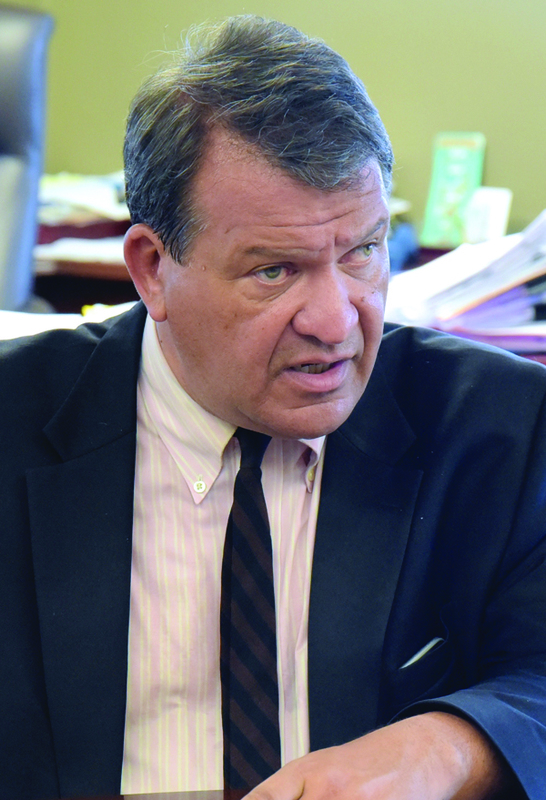 Editor’s Note: County Executive Latimer said that the county’s economic development efforts, currently being led by Deputy Economic Development Director Bridget Gibbons and Director of Operations Joan McDonald, have included multiple meetings with real estate developers and brokers to discuss their needs. In addition, the county staged its first Incubator Summit as part of its efforts to assist small business. 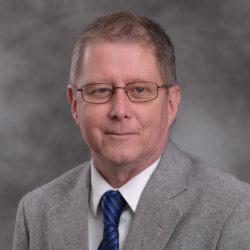 Latimer said he expects to name the new director of the county’s economic development department in the next few weeks. Q: The Westchester County Board of Legislators is currently debating a Co-Op transparency law that would mandate co-op boards to give reasons behind an applicant’s denial as well as spell out a specific time frame to make a decision on an application. What is your position on co-op disclosure and transparency? Latimer: This is one of those issues that is properly given to a legislature to debate all the different nuances. This bill has got two to three distinct pieces to it. What is the time in which an applicant’s application would be reviewed and resolved and there is an element in it that has to do with having a reason for a rejection. You can look at it also from the standpoint if a person feels they have been aggrieved, because they are part of one of the (protected) demographic classes in the society. What tools exist—from the county’s perspective there is the Human Rights Commission—that we can deal with the discrimination? When I look at the issue, I am not a legislator anymore. I spent 30 years doing that, now I am seven months doing this. I am not going to go downstairs and engage myself in the legislative debate—there are 17 legislators. When I was a legislator downstairs, I did not really want the county executive to poke his nose around. I (as County Executive) have tremendous authority within my own sphere, this is an area in their sphere. When I was in the State Legislature I had a position that said that you could look at the time frame position on this really as sort of the cutting edge. The real position for the Realtors is the time frame and if it is just open-ended it could be six months or more. The bill as it stands now says 45 days (to decide on a co-op applicant). It is not up to me to say here is a better number, but it is up to me to opine on a personal level that discussion of that number is a productive thing to have so that the more time you allow or the less time you allow will change the way the law is implemented in practical terms. And I think there is a sweet spot in there on the timing issues. On the reason issue, it is pretty hard. You are going to have somebody say, ‘I didn’t like him,’ ‘I didn’t like the way he spoke.’ There are legitimate reasons (for a denial of a co-op application). For example, if I am going for a co-op and somebody says, ‘George, you know you are the County Executive and you might make a decision and people might not like it and they may come and protest in front of our building and we don’t want that.’ I can’t promise you that is not going to happen, but realistically that might be the reason you don’t let me come into the building in the first place. The classic story is the story of Madonna. She wanted in on a co-op and they (the board) said ‘We don’t want that circus.” It was not a question of her money, it wasn’t because she was female… they made a judgment, they made a lifestyle judgment. Whether you put that down on paper or not could be hard to do. I prefer to have negotiations. If there is compromise to be had, find the compromise. Let it be bipartisan if it can be and then build off of that for what they actually send upstairs as a voted for piece of legislation for my signature. Q: A recent independent audit estimated the budget deficit you inherited at $32 million. How are you planning to close that deficit and will you be instituting layoffs or perhaps enacting revenue raisers to bridge the gap? If you do plan to increase revenue, can you provide some possible measures you might be considering? Editor’s Note: The County Executive said that the $32-million budget gap will likely get larger once the county reaches an agreement with its largest union—the Civil Service Employees Association (CSEA) contract. The union has not had a new contract in seven years. Latimer: (Once the CSEA contract is finalized) then we go to the revenues. Number one, how much will the sale tax overperform the projections? Number two, how robust will our shared services program be and can we get the (state) match so we can put it on the books for next year? Number three, we are looking at an energy-demand model that we can contract with in essence Con Edison, to get payments for not using electricity during peak periods of time. We are a big government and we can shut things down and turn certain things off and avoid the draw from the grid. That profits them and they are happy to give us money to enact that. Editor’s Note: Other possible revenue raisers citied by the County Executive included: the collection of fees currently not collected from Airbnb; proceeds from the opioid settlement and other sources, including red light cameras, which was not approved in Albany. He added that the county is set to embark on an office space consolidation plan from leased to owned space or enter into sublease arrangements for excess county leased space if possible, as well as a possible consolidation of county departments. Latimer: At the end of the day, the property tax piece is the last piece. We are not walking into the budget saying, ‘OK, we are going to raise property taxes X percent and now let’s go from there.’ We are doing the exact opposite, we are looking for every source of revenue we think we can find, find that and see if we can close the budget gap or narrow it dramatically and then have the discussion about property taxes.